It looks like real bread. Does it taste like it? The hardest part of starting a gluten-free diet is giving up bread. Ripping chunks from gorgeous French boules to sop up soup or stew, stuffing beautiful baguettes with banh mi fixings, and slathering sourdough toast with copious amounts of butter are just about the best things in life. Bread, they say, is life. So what happens when you remove its single defining ingredient? It gets lifeless—a poor substitute for the real thing, no matter how you slice it. That hasn’t stopped La Brea Bakery, the once artisanal bakery started by Nancy Silverton and now a mega-bread conglomerate, from finally jumping into the gluten-free game. 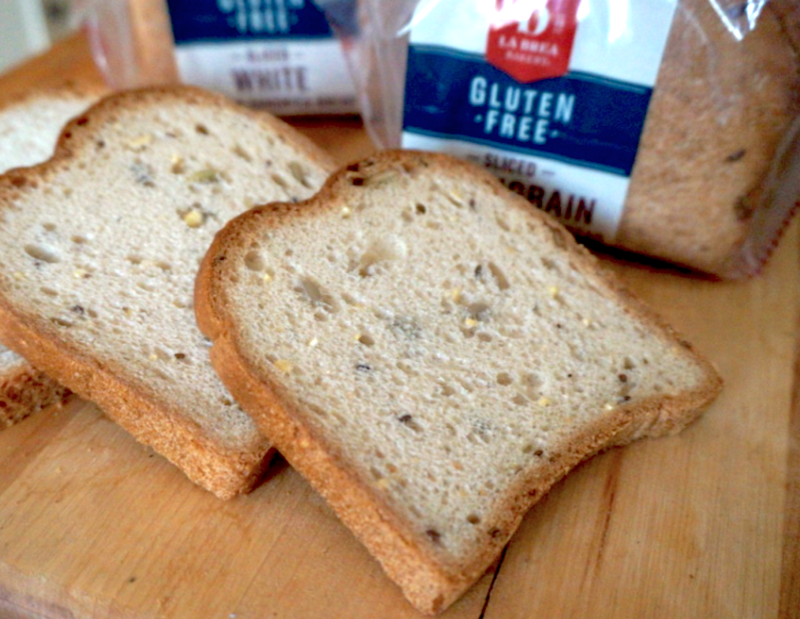 The company recently released two gluten-free breads to the public—a white and a multigrain sliced bread—both now available at La Brea Bakery Café, Vicente Foods Market, Gelsons Markets, and Bristol Farms Markets across L.A. We can hear Silverton’s bread pans drop from here. Is it any good? Let’s just say this: If we had to eat a gluten-free diet, it would definitely do. Would we switch to it on purpose? Not on your life. It’s no secret that gluten-free food is a multi-million dollar racket right now. It’s true that millions of Americans do legitimately suffer from celiac disease, which causes an intense immune system reaction when the body tries to process the protein most commonly found in wheat, and three cheers for them to finally have some viable food choices in restaurants and on grocery stores shelves. But a lot of people, including the very famous, tout a gluten-free lifestyle for health benefits, of which there are few for anyone who isn’t actually celiac. It’s become the fad diet du jour and the big food brands have responded in droves. Just about every grocery store across the country has a section dedicated to gluten-free everything, from crackers and cookies to dressings, sauces, and other snacks. So it was only a matter of time until La Brea Bakery finally got into the act. Without giving away any industry secrets, Davis goes on to say that La Brea uses “premium natural ingredients and whole grains” for the breads. Read the label and you’ll find out that the “secrets” probably lay in the blend of corn, tapioca, and potato starches, and sorghum, rice, and amaranth flours, plus other typical processed bread ingredients like sugar, yeast, corn syrup, salt, and xantham gum. Though gluten-free eating isn’t necessarily a path to weight loss (cue the Jimmy Kimmel clip here), that didn’t stop La Brea Bakery from making sure that this new line of gluten-free bread has a lower calorie count and fat content than other bread on the shelf. There are only 130 grams of fat and 3 grams of fat per two slices. “Still, it’s the supreme texture and taste that makes this bread a game-changer,” says Davis. Ah, yes, the taste. Having not tried a wealth of gluten-free breads, here’s what we can say about how this bread stacks up against the others: The bread itself is rather spongy (just like real bread!) but also tends towards the dry side. Like, leave it on the counter for a few minutes, especially in this arid climate, and it starts to lose any moisture it may have once had. At the same time, it is quite airy and toasts up pretty well. The real test was making a grilled cheese. 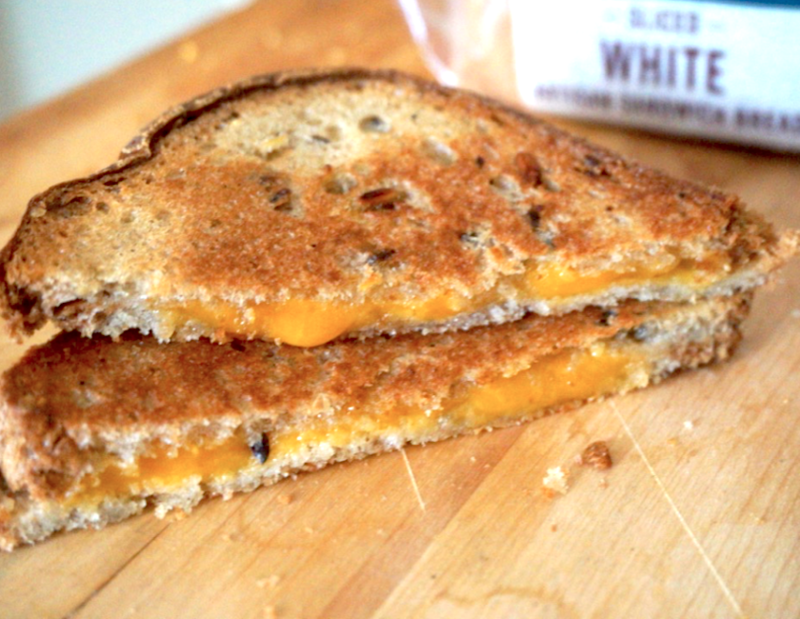 A couple slices of the whole grain or white bread actually make a fine vehicle for the sandwich. Then again, put enough butter and cheese on anything and it will be good. If you’re a bread lover and recently found out you can’t eat it, you’ll probably be happy with the La Brea Bakery gluten-free bread as a substitute. If you don’t have to eat gluten-free but think it’s a new road to health, you’re already probably following a gazillion other fad diets and aren’t eating bread anyway. In that case, skip it. We’ll be snacking on this fresh-baked boule in the meantime.